Can anyone replace Roman Reigns as 'The Guy'? Will The Undertaker EVER retire?! Five years is simultaneously a long time and no time at all in WWE. There are few similarities between today's upper-midcard/main event scene and that of 2013, and vast swathes of new talent walk through the Performance Center's doors constantly, meaning WWE's myriad of brands are never short of fresh blood. Conversely, the company don't generally cull deadwood like they used to, and the abundance nostalgic banter matches between wrestlers who peaked over a decade ago mean your old childhood favourites never really go away. The more things change, the more they stay the same. 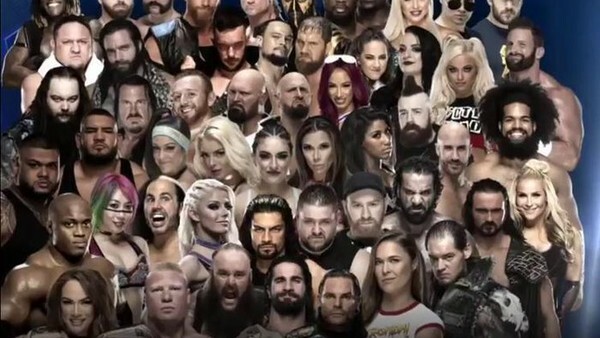 Though it's hard to say what WWE will look like five years from now, the promotion will almost certainly still be the industry's indomitable market leaders in 2023. NJPW and ROH are on the rise, but WWE's position is secure, and it'd take a cataclysmic event to topple them.